Adults dressed up in costumes for Halloween and Masquerade parties long before children did! 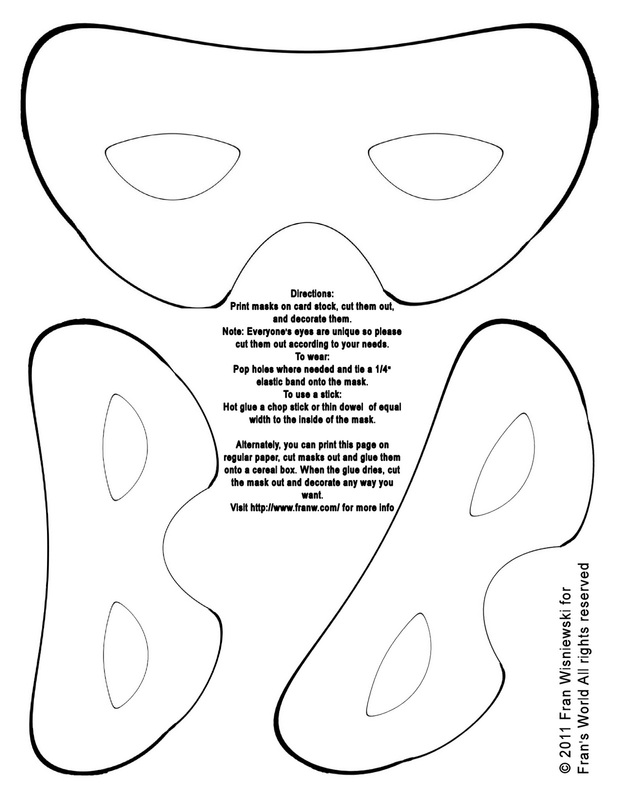 – Print the masks on plain paper, cut them out and glue them individually to the inside of a cereal box, then cut the mask out when glue has fully dried. Note: Everyone’s eyes are unique so please cut the eye part out according to your needs with a craft knife. Tip: Check local craft stores for blank masks as well. Make animals masks, decorate masks with feathers, ribbons, glitter and sequins, simple masks, make interesting patterns, and anything else you can think of! Measure a 1/4″ elastic band from temple to temple and hot glue near the sides of the eyes on the inside of the mask. If you make masks out of a cardboard box, hot glue the elastic band to inside of the mask, or pop holes near the eyes and tie the elastic band to the mask. The demi-mask can be used on a stick as well, simply hot glue a chop stick or a wooden dowel on either the right or left side of the inside of the mask, and hold it up to your eyes as you walk around. Hang decorated masks on the wall with tape. In what century did masquerade balls start and when did they become popular? Those masks are beautiful Fran! So awesome Fran. I am so excited to share this with my E and her friends. 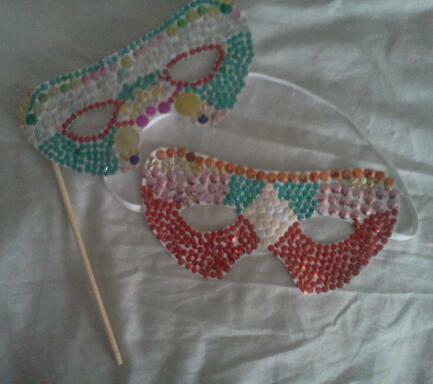 They are thinking about a masquerade for their homeschool spring formal! Now that sounds like a lot of fun, Betty Jo! I hope E and her friends have a wonderful time!